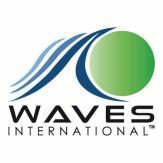 WAVES for Development believes that surf travel should benefit the people and the communities where it happens. They connect the dots between volunteering, travelling to surf, community-based tourism and grassroots initiatives. Their mission is to inspire world travel and cultural exchange through surf experiences.